When governments use force against peaceful people to deny them food security, it is right to peacefully stand in resistance. Food scarcity is foreign to many Americans. We have readily available food at our fingertips. But what is the quality of that food and at what cost is it available to us? Often, the cost is in human suffering, environmental catastrophe, social injustice, economic insolvency and a steep cost to our health individually and as a culture. Holocaust Writer David Gumpert describes food rights and food security as the civil rights issue of our generation. It is what labor unions were to the mid 1800s, what Suffrage was in the early 1900s, civil rights in the mid 1900s and war protest later in the century. While food access in a culture that is inundated with food choices might seem like an insignificant thing to focus on, food is fundamental to our being. Our food system touches and affects every other system–environment, health, economy, education, and social justice. It is how we express ourselves and often define ourselves. Food defines and is defined by how we celebrate, how we work, play, travel and live. When it comes to protecting our rights to provide our families with healthy and fresh local foods, one group in Canada is leading by example. In the face of serious opposition, they have come together to protect their food, their farmer, and their land from a hostile government eager to destroy their freedom of choice regarding healthy nutrient dense foods and their right to choose local and trusted food providers. On October 2, 2015 a multi-agency task force raided Glencolton Farm in Canada. This is not the first time the Canadian government has raided the farm, run by farmer Michael Schmidt for the past 21 years. As the bureaucrats and police moved to take people’s food from them, the people peacefully said no. They moved in to support their farmer, their food and their way of life. That afternoon, there was a peaceful resolution to the tense standoff between government agents and the people whose food they were taking. This story is not over though. The Canadian government is not allowing the peaceful people in this video the very basic human right of drinking the milk from their own animals. While this one raid was thwarted, the government has plans to continue their oppression. Standing for justice, everywhere, Canadians and Americans are united in protecting the very basic human right to peacefully acquire the foods of their choice. Please take the time to watch the two short videos below. They show the courage, unity and resolve that can move mountains. They illustrate the injustice of what continues to happen in America that nobody is talking about… yet. “You will not leave the farm with our food.” Click here to watch on Facebook. Please stand with these courageous farmers and citizens! Help support their legal team. Thank you! 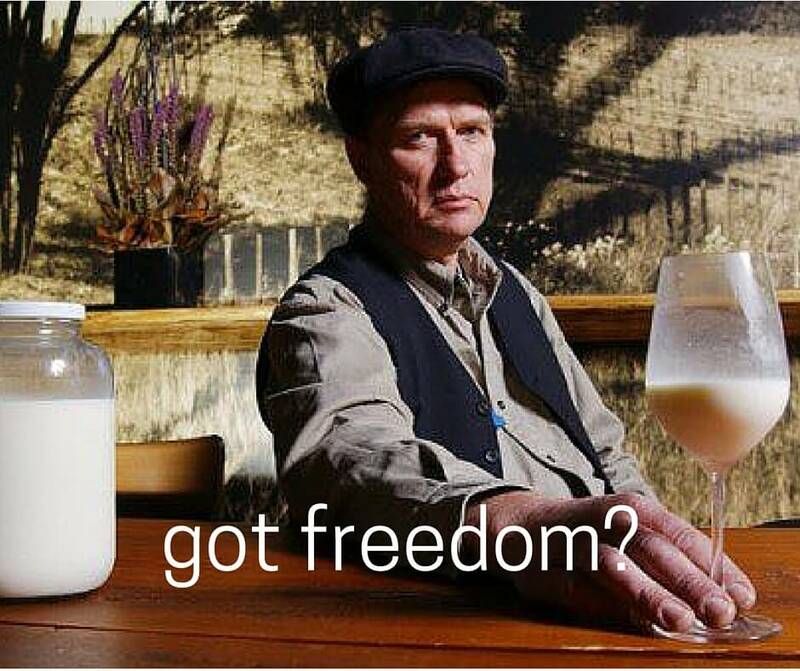 The Farmer who Sacrificed it All for Raw Milk Freedom - Hartke Is Online!